Bob and I came home from Ontario’s Carden Alvar very satisfied with our experience in that unique habitat. The combination of grasslands, forests, shrublands and wetlands creates a landscape that is not only favoured by a wide variety of wildlife but also is attractive to those people who go in search of the birds and animals that live there. 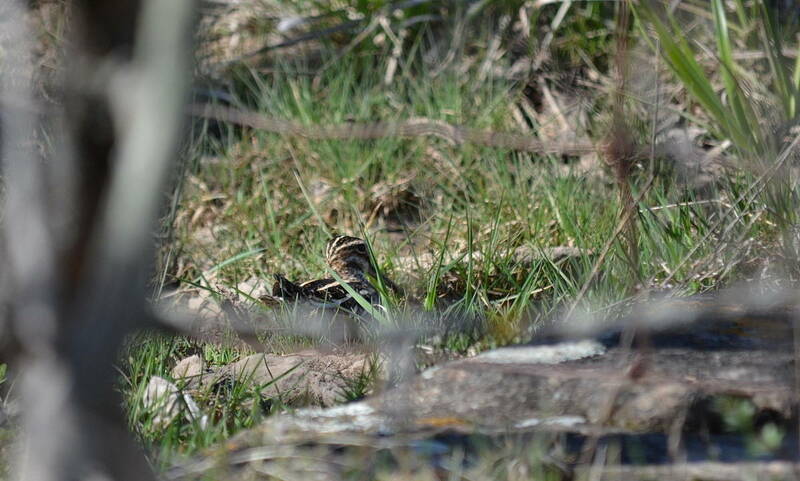 One such bird that we managed to see was a Wilson’s Snipe. 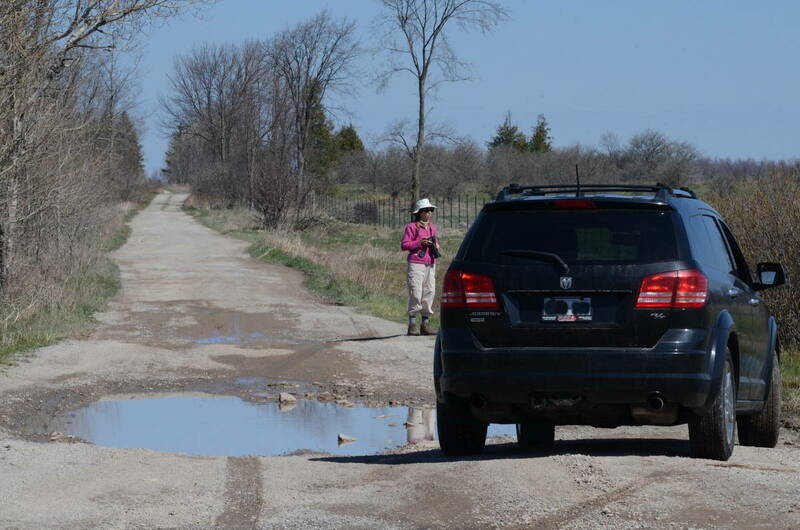 but it was in the morning, shortly after turning north from McNamee Road, that we began to stop the car every few hundred feet in order to listen for and look for birds. Several times, Bob and I saw Wilson’s Snipes make a zigzag flight from the edge of a grassy meadow, but their swift takeoff and erratic flight made photography almost impossible. 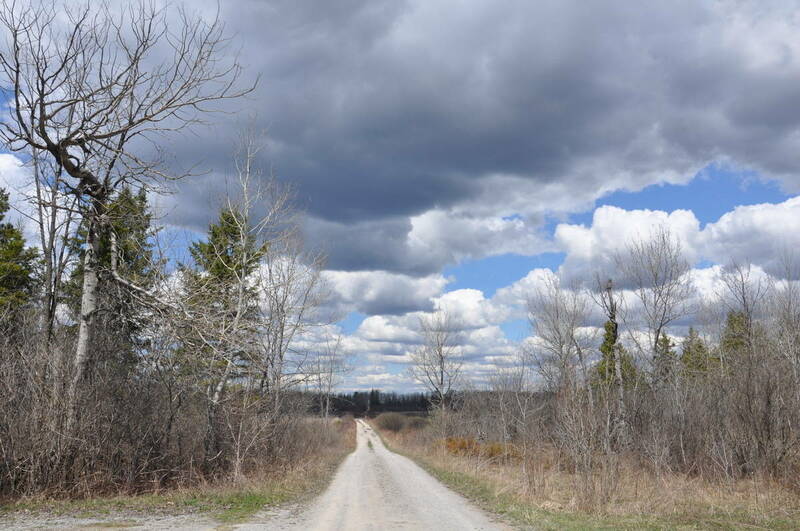 As Bob and I strolled the shoulder of Wylie Road enthralled with the landscape and the myriad sounds of nature, we were separated by about 50 feet or so. 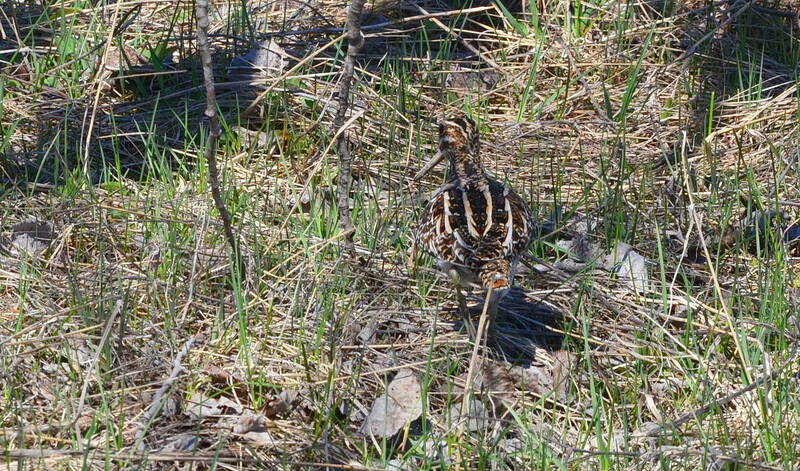 Not wanting to scare off the Wilson’s Snipe that Bob had in his sights, he tried vainly to get my attention. When finally I noticed from the corner of my eye Bob gesticulating, I tried to skip quietly and quickly over to his location. 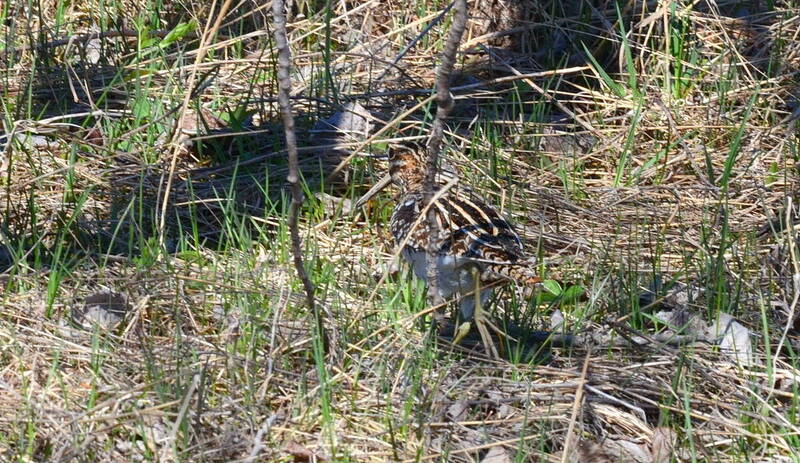 It took me a few seconds before I could find the Wilson’s Snipe in the tangle of grass through the veil of branches. Wilson’s Snipes are actually pudgy shorebirds that use their long, straight bill to probe wet mud for a wide variety of creatures that include insects and earthworms, leeches and frogs, to name a few items on their dietary list. 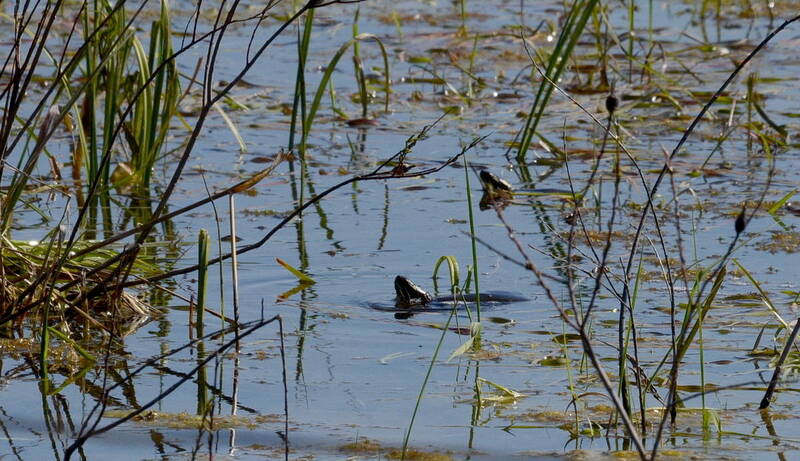 During breeding season is when they frequent wet meadows, muddy riverbanks, ponds and marshes. 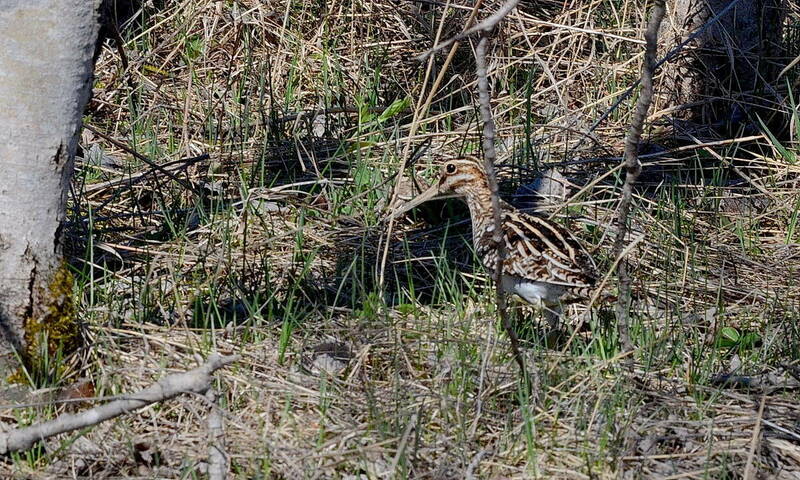 So why were there so many Wilson’s Snipes at the Carden Alvar? Well, for one thing, Sedge Wren Marsh lies adjacent to Wylie Road along its northern reaches, and many sections of the roadside fields were substantially flooded providing sufficient areas of suitable habitat for foraging. 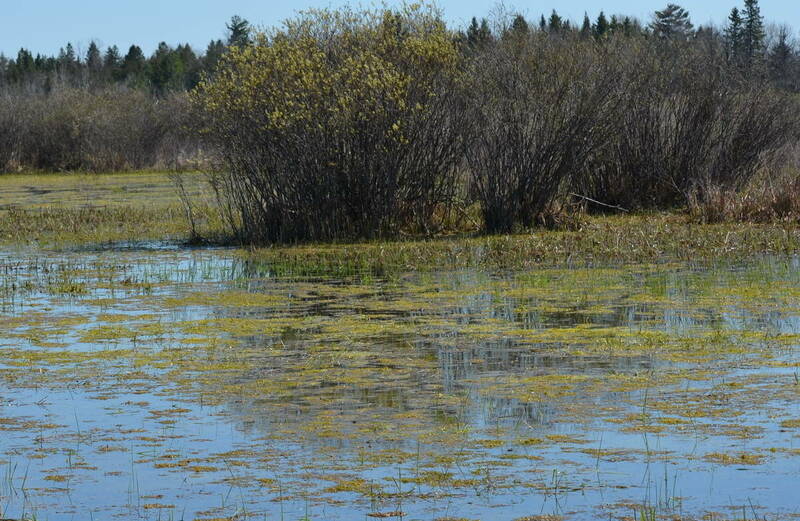 These vernal pools also supported turtles and frogs. 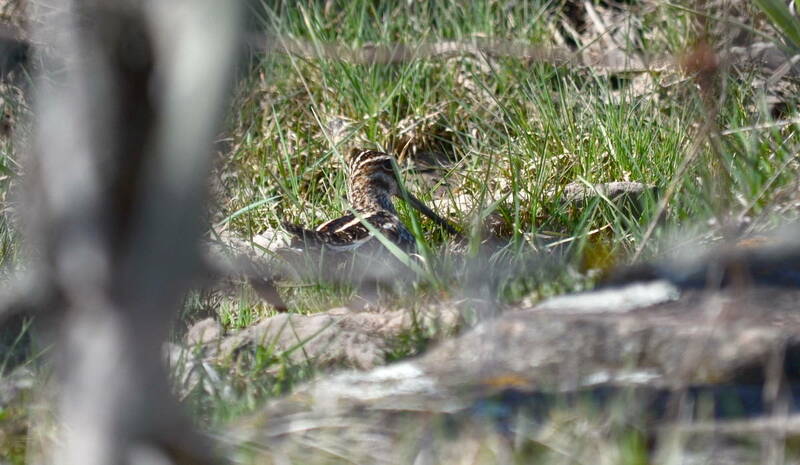 The surrounding grasslands make the perfect spot for a Wilson’s Snipe to build its nest, and we wondered if the Snipes were already sitting on the nest given the numbers that we saw flushing from the roadside as we searched with our binoculars for signs of these elusive and well-camouflaged birds. Most photographs that I have seen of a Wilson’s Snipe feature one of these birds proudly sitting on top of a wooden fence post. 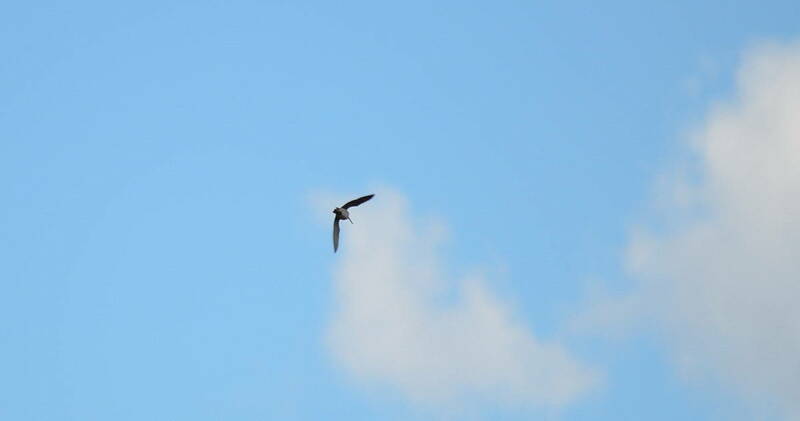 I anticipated such an opportunity presenting itself, but alas, the only Snipes we saw were almost invisible on the ground or flying high in the sky. Still, we were excited that this individual finally strolled from its cover allowing a few quick snapshots. It was in the environs of Sedge Wren Marsh that Bob and I heard, yet again, the winnowing sounds of Wilson’s Snipes as they took to the air. 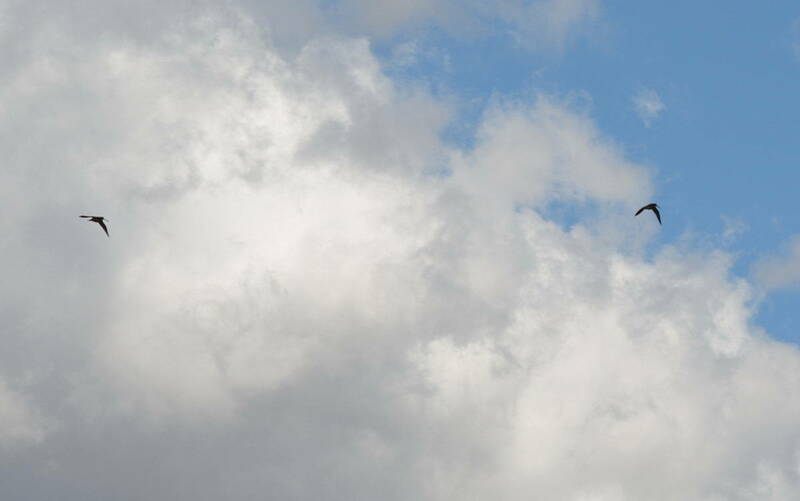 That is what clued me in to look up, way up! 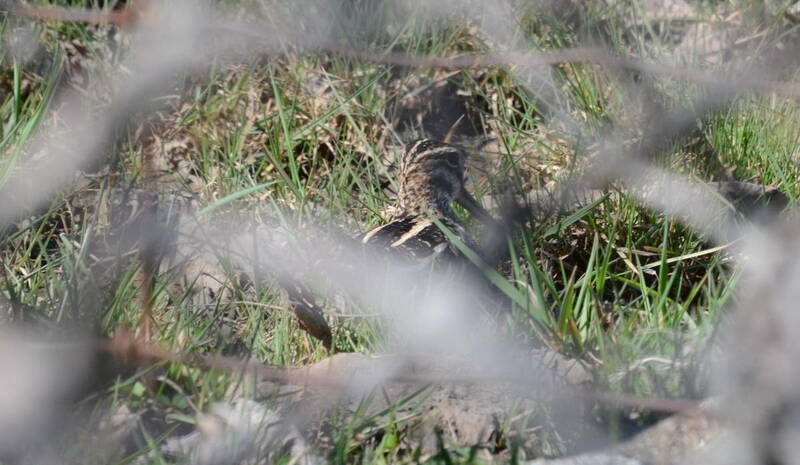 I had already figured out that a male Wilson’s Snipe gives itself away by the winnowing courtship display performed when it tries to impress a mate. First, a male will complete circular patterns in the sky then launch into a shallow dive that causes the outer tail feathers to vibrate. The resulting vibration creates the hollow and haunting whinnying sound. We had been hearing it off and on all day as we traveled the length of Wylie Road. Both male and female Wilson’s Snipes make the winnowing sound when courting though typically it is only the males that demonstrate their prowess in the air. Bob and I arrived at Carden Alvar fairly early in the morning, which is when Wilson’s Snipes tend to forage, and perhaps we were lucky that the day turned out cloudier than expected because these birds are more active on overcast days. As the Wilson’s Snipes disappeared in the distance, Bob and I turned our attentions to a mink that was prowling around a beaver lodge. Carden Alvar had lots of surprises in store for us that day!